Ebola has spread to a second Texas health care worker, and the World Health Organization has predicted a frightening climb in new infections. Health authorities are scrambling to contain a highly infectious disease that kills through massive bleeding. 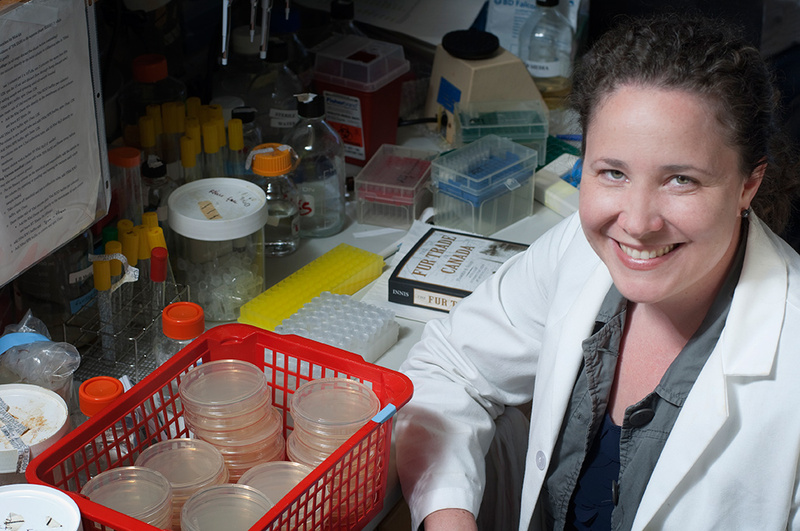 Caitlin Pepperell, an assistant professor of medical microbiology at UW-Madison, investigates evolution in the tuberculosis bacterium. “People tend to conflate fitness and virulence,” she says. Virulence measures the ability to cause severe disease or death. Fitness is the ability to infect new hosts. As the global response lumbers onward and thousands die, we started wondering about the “classic dogma” of infectious disease: Pathogens become less virulent — less deadly — over time since live hosts spread infections better than dead ones. The rapid and mysterious disappearance of the Black Death (bubonic plague) from Europe in the middle ages helped raise the question: After killing as many as 200 million in Europe between 1346 and 1353, did the Yersinia pestis bacterium lose its “will to kill,” in the interests of its own survival? The comforting dogma is backed by some evidence — and rebutted by plenty of counter-examples, as we’ll see. Evolution is a numbers game, and this comforting dogma could allow us to think that deadly Ebola will lose its grip over time, as evolutionary pressures “persuade” the virus to sheath its claws. As many as 70 percent of West African Ebola patients are dying, far more than previously reported. The original source of infection is likely a virus-infected bat butchered and eaten by some unlucky African. Plague, and its Middle Ages outbreak Black Death, were caused by the bacterium Yersinia pestis, spread by fleas on rats. 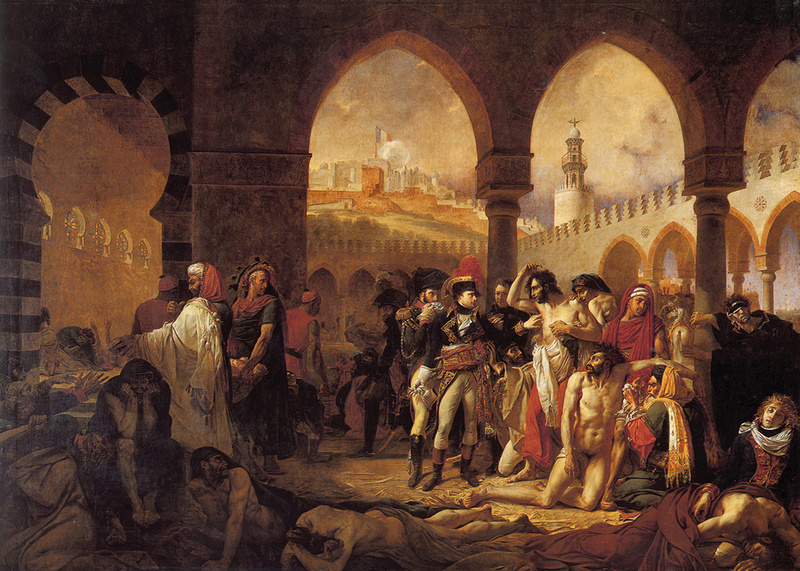 Several outbreaks occurred between the 6th and early 19th centuries, including one in the Middle East. Here, French emperor Napoleon Bonaparte visits hospitalized troops in Jaffa (present-day Israel) in 1799, during his Egyptian campaign. Transmissibility is the gauge of evolutionary “fitness,” but the discussion of pathogen evolution can get “pretty muddy,” says Caitlin Pepperell, an assistant professor of medical microbiology at the University of Wisconsin-Madison. “People tend to conflate two concepts: fitness and virulence. Virulence has to do with whether it kills you or makes you extremely sick.” Fitness concerns the ability to infect others and expand its own population. Cytomegalovirus infections are usually unnoticed, except in people with weak immune systems. Pregnant women can pass an active infection to their newborns. 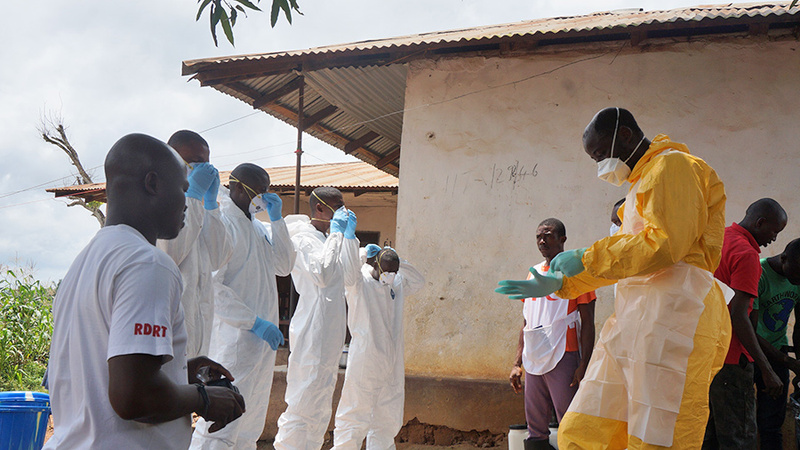 An Ebola epicenter in eastern Sierra Leone bordering Guinea, was quarantined at the beginning of August and remains chained by the outbreak. The host-microbe relationship can be unstable, Palmenberg says. Most of the countless bacteria in your gut are benign or beneficial, “but you get the occasional outbreak” of disease if they acquire disease-causing genes. During the infection and replication process, “RNA viruses,” including Ebola and HIV, insert DNA into host cells that force those cells to make new virus particles. Each human cell carries proof of an ancient stalemate between mammals and ancient RNA viruses, or retroviruses, Palmenberg says: “One-third of your genome is retrovirus,” Palmenberg says. These RNA viruses infected our ancestors but instead of killing them, merged into their genome and became part of their descendants — of us. West Nile, transmitted by mosquitoes, can cause fatal brain infections. 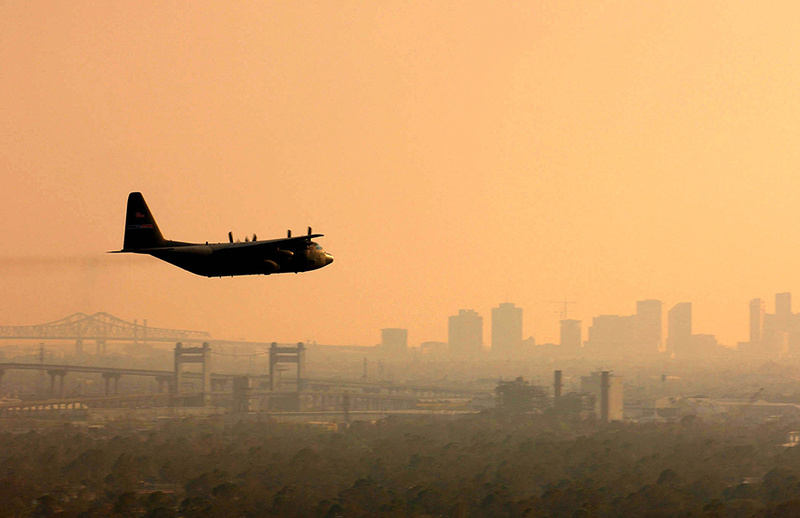 A flight crew douses the Gulf Coast with pesticide to kill mosquitoes that spread West Nile virus. The virus has not become more moderate during its 15-year residency in the Western Hemisphere. In many cases, however, causing disease can boost fitness — measured by the number of new infections. Cholera and other diarrheal diseases, for example, are spread by infected stools that are a by-product of infection. Similarly, the bacterium that causes tuberculosis needs to be transmitted via coughing, Pepperell says. In this case, as with cholera and Ebola, high virulence translates into high fitness. Ebola is largely spread by contact with infected blood, and evolving toward lower virulence would reduce its frightening and frighteningly dangerous bleeding. “This is a theoretical example of lower virulence linked to lower transmissibility, and therefore not a likely evolutionary path for the virus to take,” Simonsen says. More than 30 years ago, another fearsome virus emerged from the African bush. HIV, which causes the immune disease AIDS, descended from SIV, a monkey virus. 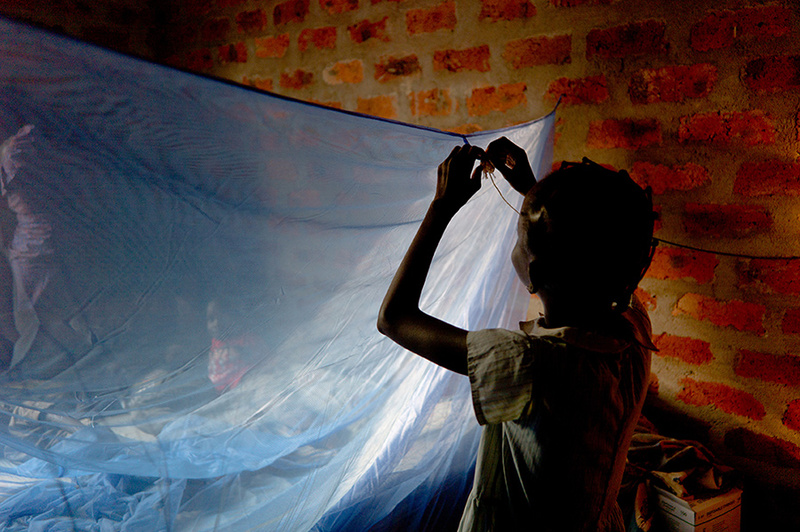 Since 1981, AIDS has killed about 36 million people. Has the heavily-studied HIV undergone significant evolution, and if so, in what direction? 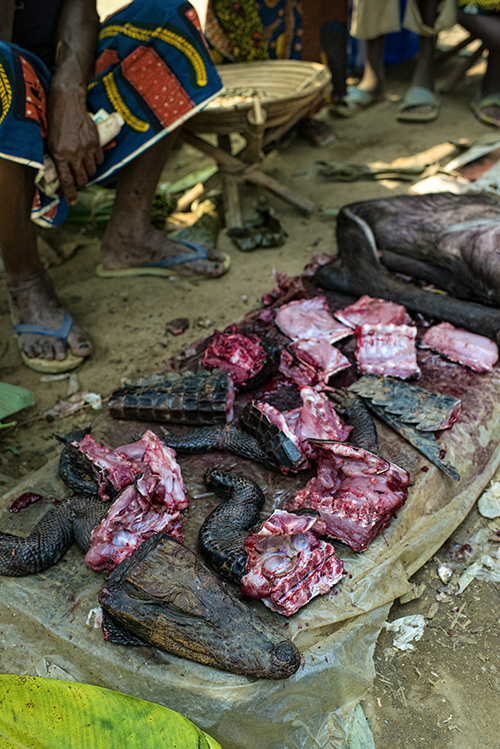 Bushmeat for sale at the Moutuka Nunene market in Democratic Republic Congo. The first Ebola outbreak in 1976 was traced to consumption of forest-dwelling animals in the DRC; the new pandemic in West Africa may be traced to flying bushmeat — bats. 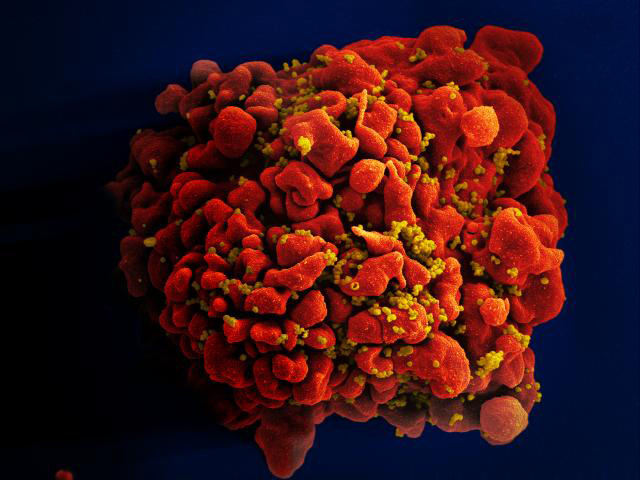 HIV evolves in every patient, Friedrich said, as it struggles to survive attacks from the host immune system. “During the natural history of the infection of one person, we see evidence of adaptation to evade immune detection.” This evolutionary ability also enables HIV to evade drugs. Scanning electron micrograph of HIV agents (yellow) infecting a T cell (red). T cells play a vital role in the immune system; attacking T cells results in destruction of the immune system that marks AIDS. The AIDS crisis gave a shot in the arm to all aspects of virology, and one in particular seems applicable to the Ebola crisis, says David O’Connor, a professor in the UW-Madison School of Medicine and Public Health. The drug used with some success on a few Ebola patients, ZMapp, contains three antibodies. Antibodies, delivered by the immune system or as medicine, can block the attachment points that a virus needs to infect a cell. With HIV, and likely with Ebola as well, a single antibody will quickly fail due to genetic changes in the virus — evolution. However, a “triple cocktail” of drugs, which is the standard treatment for HIV, has a better chance of success. “The three antibodies are going to synergize, and reduce the viral replication, without causing resistance to emerge,” O’Connor says. That’s the case with AIDS, and the hope with Ebola. We won’t know for sure until more of the difficult-to-manufacture ZMapp becomes available. This colorized transmission electron micrograph reveals some of the fine structure in a particle of Ebola virus. As we discuss viral evolution, we wonder: Is Ebola evolving now, and if so, in what direction? The only genetic study of the current outbreak documented variations among 300 base pairs in a genome containing 18,000 base pairs. Pathogen evolution, in this case, is pretty straightforward: What doesn’t kill them makes them stronger. The pathogens that escape the immune attack are those that have some trick to evade attack. When these viruses or bacteria multiply, their offspring are likewise resistant. Myxoma field tests began in 1938 on an island off the coast of South Australia. The cancer-causing virus spreads through direct contact or by biting insects. Consider the destructive power of a hungry rabbit in your vegetable garden. Multiply that by 600 million and you have the rabbit plague in early 20th-century Australia. 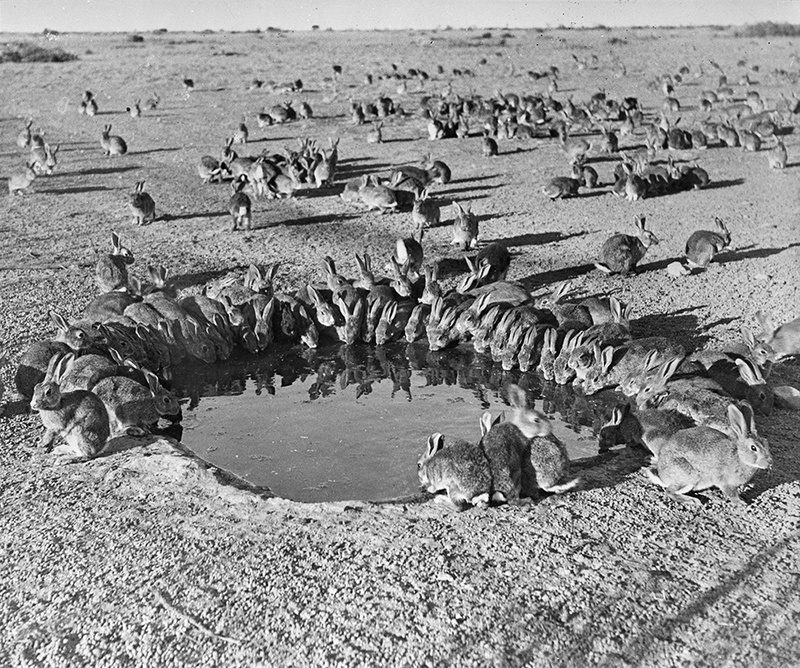 In desperation, Australians unleashed the deadly rabbit-attacking virus myxoma in 1950; the virus killed 99 percentof the infected hoppers. 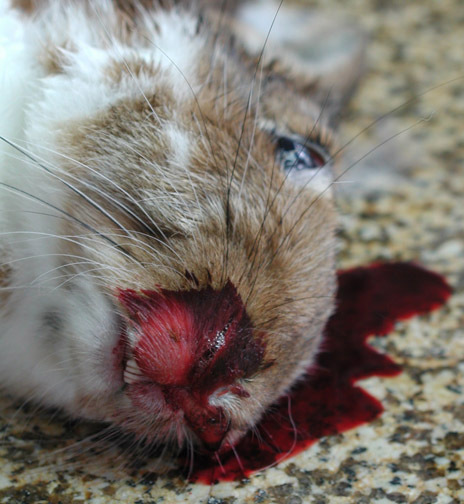 But by the late 1950s, rabbit resistance caught up with the virus and the population bounced back, prompting a viral contingency plan: calcivirus, the agent of rabbit hemorrhagic disease. The calcivirus responsible for rabbit hemorrhagic disease was tested for pest control in the early 1990s, escaped quarantine in 1995 and spread across Australia, leveling rabbit populations, especially in hot, dry regions. A preliminary test of a candidate Ebola vaccine on 20 human volunteers began Oct. 13 at the Walter Reed Army Institute of Research in Silver Spring, Md. We started with the fantasy that Ebola would quickly abate, following its predecessors in its effort to stay alive, but we’ve learned that many factors affect whether a pathogen benefits by becoming more or less virulent, or staying pretty much as it is. Moral of the story: Don’t wait for evolution to save us. Unless a vaccine makes a dramatic appearance, we’ll need to do the hard work of controlling this deadly virus.